Every team is different. Each team has their own established work and collaboration methods, but there are 4 types of team members that you will find in every team. 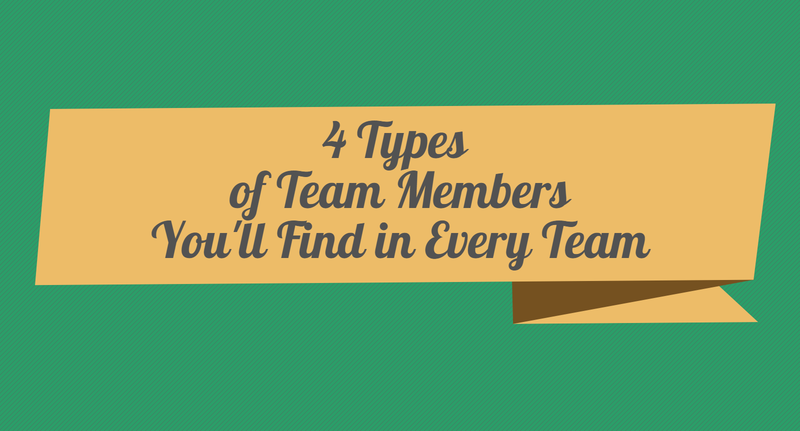 And while they are very different from each other you will want to have at least one of each type in your team. Remember that each type has different needs and the project leader has to develop individual methods to bring out the best in each team member. Different personalities meeting each other can lead to disagreements so the project manager has to find solutions to resolve these conflicts effectively. Great teamwork means that the team members complement each other and that each team member can contribute to the project equally. What do productive teams do differently? 4 Types of Team Members You’ll Find in Every Team [Infographic] - InLoox • Copyright 1999-2019 © InLoox, Inc. All rights reserved.